Even during economic hardship, skilled trades remain in high demand. Everyone has to have a place to live and work, and those dwellings and buildings have to be built, upgraded, maintained, and repaired. If you’re an experienced tradesman with an entrepreneurial spirit, you may be thinking about branching out from your current position to try working for yourself. Starting your own contracting business can offer a lot of great advantages: you can set your own hours, choose what work you’re willing to do, and dictate your prices. Choosing the right field to specialize in can depend on a few factors. Doing what you’re good at is one of the more important considerations; if you already have the tools and knowledge to do the job, you could be in business relatively quickly – with little upfront cost. Let’s take a look at some contracting businesses to consider – and what to evaluate before all else – before making the plunge into small business ownership. When daydreaming about leaving your current job to become self-reliant, very few are thinking about all the paperwork, legalese, and red tape; bureaucracy is probably the furthest thing from your mind at that point. 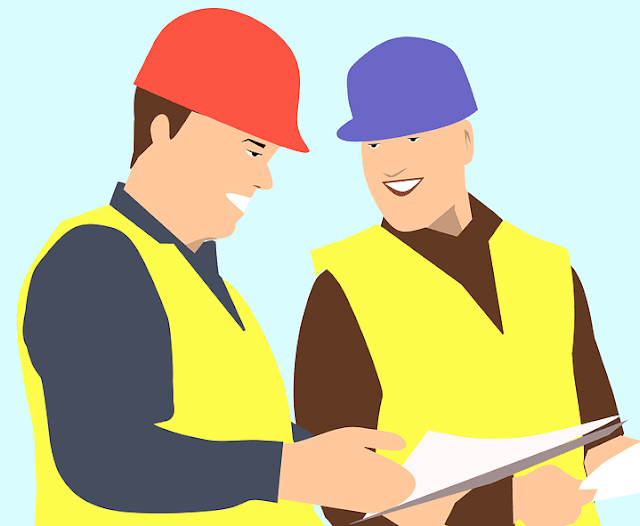 Ensuring you have all of the proper licensing and insurance is a very important aspect to take into consideration when starting your own contracting business. Otherwise, you may be operating in a legal grey area and opening yourself to expensive and disastrous lawsuits if you choose to do business without going through the right channels. The costs and time involved in licensing your business can vary depending on the field you decide to pursue. Your local government may have regulations in place that have to be met before they will allow your business to operate under the law; contact your local authorities in charge of business licensing for specific details. Thankfully, independent contractor insurance for the most common types of work won’t cost you an arm and a leg if you choose the right provider. Some packages start out at $30 a month or lower if you look around. Insurance is needed to cover liability and keep you safe from litigation in case of accidental damage. Your customers also have peace of mind in knowing that the person working on their property is licensed and insured. We should face the fact that plumbing usually isn’t a glamorous profession; you may find yourself spending more time on other peoples’ “business” than your own! A lot of homeowners are reluctant to work on their own piping systems for a multitude of reasons. It takes a special type of person to get into this career: if you’re that type of person, you can expect to almost always have work. Job growth for plumbers is projected to rise in the coming years, even during economic recessions. Tighter water-saving initiatives are also driving up demand for experienced pipe fitters due to the retrofitting of older homes and businesses. Startup costs can be reasonably low for a plumbing operation if you’re already an experienced plumber with ownership of the tools you’ll need to do the work. Otherwise, prepare to spend a lot of money hiring experienced help (or you can put the time in to learn the trade yourself). Overheads can be quite low for this type of work as well, allowing you to pocket more of your money as profit. The dangerous nature of high voltage electricity is always best left to the professionals. Modern life would not exist without the network of wires and cables that carry electricity to all the various machines and devices upon which we rely. Demand for competent and qualified electricians is always going to be there: steady growth is projected for the future. Electricians of all varieties, from every-day residential work to highly specialized work on commercial and industrial plants, enjoy higher than average levels of pay. Your skill level and expertise will determine the best field for you and your contracting business. A good paint job can be easy to overlook, but everyone is quick to notice large flaws and imperfections. A skilled painter is almost always worth the cost; if you have the talent, don’t let it go to waste. Those going into this trade usually take advantage of diminished costs to open shop and operate. Like many other skilled trades, costs can be driven down further with access to the tools and equipment necessary. If you choose to become involved in the world of painter-for- hire, your work may be enjoyed by many; you are part-laborer and part-artist. The finish of a room can have a profound effect on those who enter. Those with an eye for detail who don’t mind the sometimes harsh working conditions should seriously examine this entrepreneurial opportunity ripe for success. The world of contract business opportunities can be a rewarding and lucrative field with which to become involved. There is ample work to be done, and those with a good head on their shoulders, in-depth knowledge, and a range of tools at their disposal can be successful if they apply themselves. I hope you enjoyed this article about the three profitable contracting businesses to consider starting this year. Interested in more articles about starting a successful company?